Cinema theaters are also called movie theaters, where patrons watch films. The film industry boomed in the 1920s. The first motion pictures were silent films based mostly on vaudeville theater, where dance, comedy and pantomime were featured. Early films were categorized into types or genres and "The Covered Wagon" from 1923 was one of the first westerns. Today, four distinct types of cinema, or movie, theaters show movies. Most movie theaters fall into the multiplex category. A multiplex is a theater that show first-run films, which are the latest films released. They have stadium-style seating so that everyone can see the screen easily. Multiplexes also have more than one screen to show films. Multiplexes tend to be part of movie theater chains, such as Edwards and AMC. Stanley H. Durwood opened the first multiplex in 1963 in Kansas City, Missouri, with two screens, accordingto the Kansas City Public Library's website. More than one screen meant more than one movies was shown separately, which attracted more customers. Later, he opened a four-screen movie theater in 1966 and a six-screen theater in 1969. His company changed its name to AMC Entertainment. IMAX technology debuted at the Fuji Pavilion at EXPO 1970 in Osaka, Japan, the IMAX website says. It was conceived by a group of Canadian filmmakers and entrepreneurs who wanted a new theater system using a single, powerful projector rather than multiple projectors. The first permanent IMAX movie theater in the world was built at Ontario Place's Cinesphere in Toronto in 1971. The first IMAX 3D system premiered at the Canada Pavilion at EXPO 1986 in Vancouver, Canada. Most IMAX films are documentaries, which take viewers on journeys to places beyond the reach of most people, such as outer space and the deep sea. 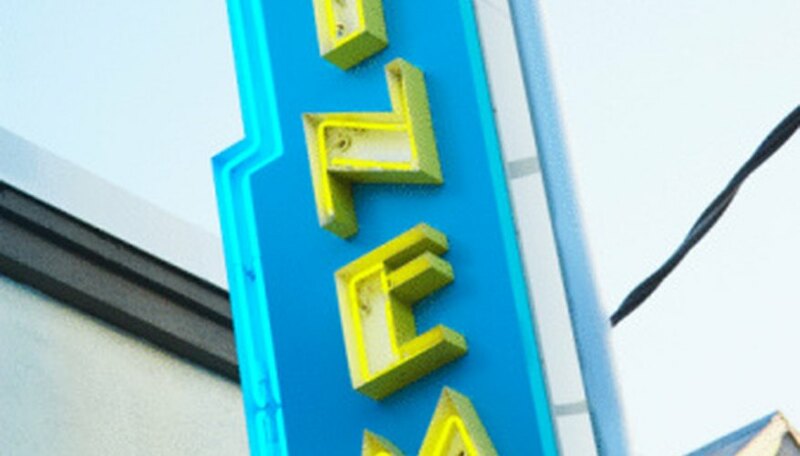 Once multiplexes starting taking over movie theaters in the 1960s, smaller, one-screen independent movie theaters began being demolished, like the RKO Orpheum Theatre in San Diego, the filmsite website states. Independent movie theaters exist, but many are specialized. Theaters such as the Film Forum in New York show art-house or independent movies that are made outside the Hollywood studio system. Other independent movie theaters show second-run movies at a discounted ticket price Many of these independent theaters are historic theaters, with art deco architecture. Richard Milton Hollingshead Jr. opened the first drive-in movie theater on June 6, 1933, showing "Wives Beware," according to the Water Winter Wonderland website. Tickets were 25 cents per car and 25 cents for additional passengers. Cars parked in a patented arrangement so everyone would be able to see the screen. Drive-in movie theaters started appearing across the country, though Hollingshead had a patent on the design. The case went to court, but the First Circuit Court of appeals ruled that the patent shouldn't have been granted. By 1957, there were 3,700 drive-ins across the country. Most drive-in theaters are in smaller rural areas.